The Libyan representative for the Arab League, Ashour Bu-Rashed, said the Libyan government supports the Egyptian initiative to form a joint counter-terrorism Arab unit, adding that these forces will help achieve stability in a region that has been facing unprecedented challenges. He also expressed appreciation toward the efforts made by President Abdel Fattah al-Sisi in this regard. In remarks to Al-Masry Al-Youm on the sidelines of the preparatory meetings for the Arab summit in Sharm el-Sheikh, Bu-Rashed expressed his reticence toward any international or Arab military intervention in his country, adding that the Libyan government seeks to lift the ban on importing weapons to the official army. Bu-Rashed added that Libyans are able to fight the armed militias and that an insistence on banning weapons imports will cause confrontations and instability to last longer in Libya. According to Bu-Rashed, Libya will be on top of the list of issues that will be tackled during the summit, referring to a consensus among Arab countries on supporting the Libyan army, other than Qatar, which has reservations about it. The Libyan official also indicated that the preparatory meetings mainly focus on the dangers, especially terrorism, that face some Arab countries like Iraq, Syria, Yemen and Libya. He will nonetheless call on Arab countries to look for an urgent solution for the Libyan crisis. Five people were killed in the central Libyan city of Sirte in an apparent suicide bombing on Wednesday, a security source said. Tripoli-based al-Nabaa television said the five died near the city’s power station. Algeria and Italy share the same positions on the need to find a political solution to the crisis in Libya and to strengthen the fight against terrorism, said Wednesday in Rome Minister for Maghreb and African Affairs Abdelkader Messahel. “Algeria and Italy share the same positions (as regards the crisis in Libya). They are both for the preservation of the territorial unity and sovereignty of Libya and cohesion of its people, as well as for the promotion of a political solution to the crisis,” Messahel explained to APS at the end of long discussions with the Italian Minister for Foreign Affairs and International Cooperation Paolo Gentiloni. 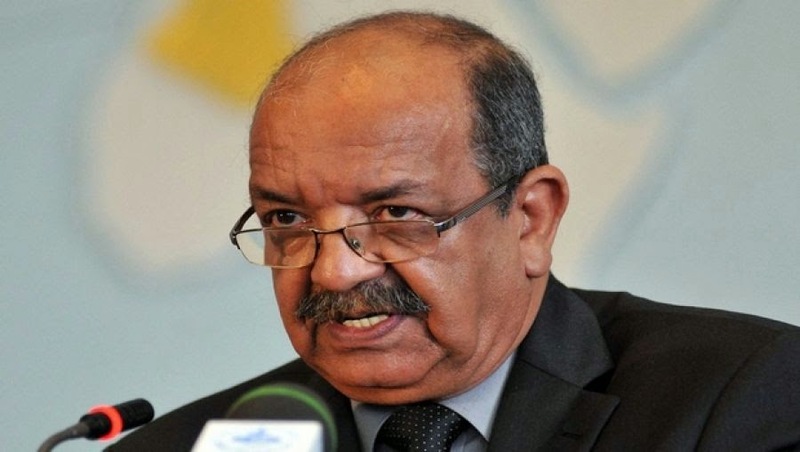 Messahel said that his discussions with the Italian ministers were an opportunity for the two countries to reiterate their full support to the efforts of the United Nations and the UN special envoy Bernardino Leon for a political solution to the crisis shaking this neighbouring country. The two sides also reaffirmed their commitment to strengthen the fight against terrorism, this transnational scourge that is threatening the security of all countries, he added. “I am satisfied with this visit, which shows the great importance attached by Algeria and Italy to the resolution, the soonest possible, of the crisis in Libya and for the restoration of peace and security in the neighbouring country,” said Messahel. He also underlined the importance of coordination between the neighbouring countries of Libya to “help this brotherly country to overcome the challenges it is facing,” he said, adding that these challenges are also threatening the security and stability of the whole region. In this regard, Messahel announced the holding of the 6th session of Libya’s neighbouring countries in Ndjamena in the next few days. Messahel arrived in Rome on Wednesday morning to meet with the Italian Foreign minister as part of the constant consultations between the two countries on issues of high interest. 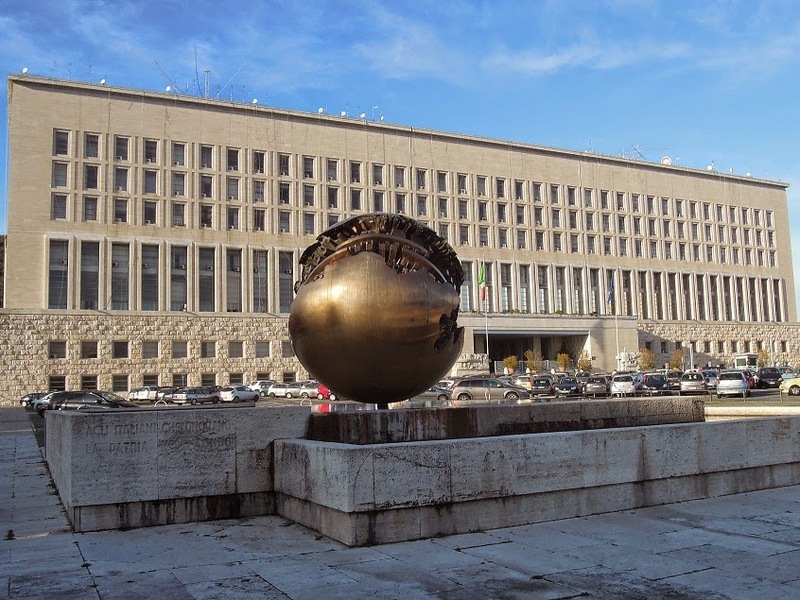 A trilateral meeting over developments in Libya, which was due on Wednesday between the foreign ministers of Italy, Algeria and Egypt was rescheduled at “the nearest possible convenience,” the Italian foreign ministry announced. The Italian Foreign Ministry said in a statement that the meeting was postponed as “result of a pressing engagement that has detained” Egypt’s Foreign Minister Sameh Shukri. Shukri said in remarks to journalists yesterday that talks will address efforts of the head of the United Nations Support Mission in Libya Bernardino León, who is pushing for a political solution and sponsoring dialogue among different Libyan parties. Egypt supports the UN political solution in Libya and has been rallying the international community behind lifting an arms embargo, enforced on the Libyan government since 2011. The Libya crisis has affected several Egyptians, who have been caught up in violence in Egypt’s restive neighbour. 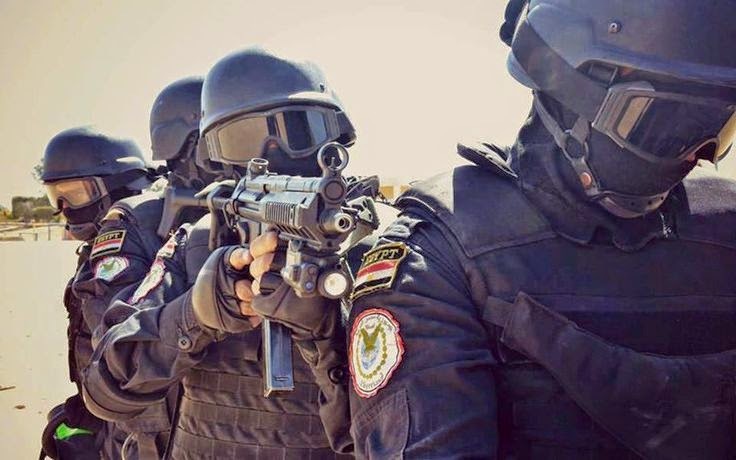 On February 16, Egypt struck militant targets in Libya after the beheading of 21 men, 20 of whom were Egyptians at the hands of men believed to belong to a Libyan division of the Islamic State fighters in Iraq and Syria. Around 40,000 Egyptians have since fled Libya by crossing back into Egypt by land and by air flights carrying evacuees to Egypt from Tunisia and sometimes, Algeria. Tunisia’s prime minister says one of the two gunmen who killed 17 foreign tourists and two Tunisians at the Bardo museum was known to intelligence services, but no formal links to a particular terror group have been established. In an interview with RTL radio Thursday, Habib Essi said Tunisia is working with other countries to learn more about the attackers, identified as Yassine Laabidi and Hatem Khachnaoui. Meanwhile, two of the cruise ships with passengers among the victims left the port of Tunis. MSC Cruises said nine passengers from the Splendida were killed, 12 injured and six unaccounted-for. Another ship, the Costa Fascinosa, said 13 passengers had not returned on board when the ship left port overnight. Once the stronghold of Muammar Gaddafi, the coastal town of Sirte has now been transformed into a symbol of the insidious rise of the self-proclaimed Islamic State in Libya. Six weeks ago men wearing black masks took control. The streets became quiet, families moved out. Now, in the middle of Libya’s deep political divide, forces allied with the government in Tripoli have struck what they hope will be a major blow to the group. Libya Dawn forces attacked Isis positions to the west of Sirte on Saturday. Fighting continued into Sunday morning. Yesterday, came the backlash, the first car bombing by Isis in Misrata along the coast to the north-west. No one was injured, but Misratans fear this might only be the beginning of the retaliation. Officials in Misrata said that Brigade 166, acting under the command of the Tripoli military commanders and composed of battalions from Misrata, had killed 25 Isis fighters in the Harah area, 13 miles to the west of Sirte over the weekend. Ajaj al-Saqr, a general who had served under Gaddafi and was loyal to him until the end, was among those injured. He had been living in exile in Egypt and is believed to have returned to Sirte recently. He was not alone. Many Misratans insist that the fighters now in Sirte are Gaddafi loyalists, recent returnees who have been hiding out in the desert or abroad. 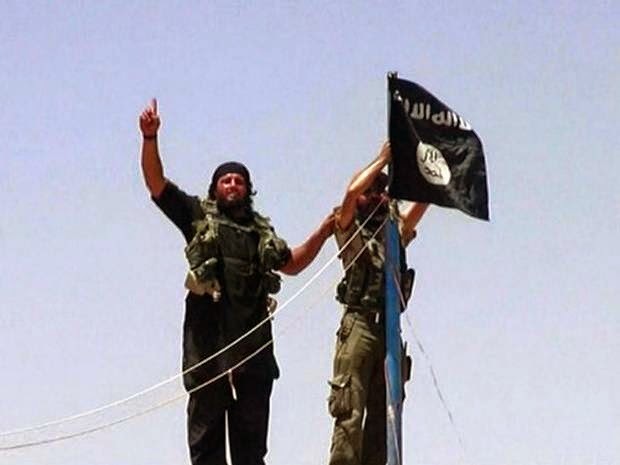 There are also an unknown number of foreign fighters among them, all under the flag of Isis. For more than five weeks, the black flag has been hanging from the Ouagadougou conference centre where Gaddafi once hosted lavish international meetings. It was also his stronghold where his most loyal forces held out as rebel forces closed in on them in October 2011 in what would be the final battle of the 2011 war. The bitter fighting has left Sirte, Libya’s former capital, in ruins. Now, there are snipers once again positioned on the conference centre’s roof, and some of the same brigades that encircled Gaddafi have again encircled the city. This time, however, they are fighting a more confusing enemy. Mohamed al-Thani lost his left leg fighting in Sirte in September 2011. This time, he says, he wouldn’t fight. Islamist groups in the eastern city of Derna declared allegiance to the Iraqi leader of Isis, Abu Bakr Baghdadi, in late 2014, replacing existing links to al-Qaeda. The movement had, until then, largely been confined to Syria and Iraq. Libya’s political chaos, porous borders and abundant supply of weaponry make the North African country an appealing new base for Isis. Around 500 Isis fighters are in Sirte. Their identities are unknown because of the black masks they wear. As well as the conference centre, they hold a hotel and the flour mill. A few hundred metres away from the mill, Misrata forces take their coffee in a roadside cafe. Misrata, Libya’s third-largest city located to the east of Tripoli, is the power base of the Libya Dawn faction which seized power in Tripoli in August. Abrahim Ben Rajab, head of the Misrata Military Council, said that they had hoped other cities would contribute more forces to Brigade 166, to avoid the risk that Misrata would be subjected to a retaliatory campaign by Isis. 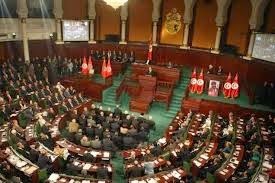 Shots have been fired around the Tunisian parliament and there are reports of casualties, state media says. Three gunmen may also have taken a hostage from the nearby museum that shares grounds with the Parliament. It also said that several people had been taken hostage inside the Bardo Museum, which is next to parliament. A member of parliament told AFP that parliamentary work had been suspended after shots were fired and deputies had gathered in the building’s hall. A Libyan official says fighting between Islamic State militants and forces loyal to the government based in the country’s capital, Tripoli, has killed 10 troops. Ismail al-Shukri, says Wednesday’s clashes took place near the town of Nofaliya, close to the country’s main oil terminal overlooking the Mediterranean Sea. It’s the latest in a deadly campaign by IS extremists targeting Libya’s lucrative oil facilities. 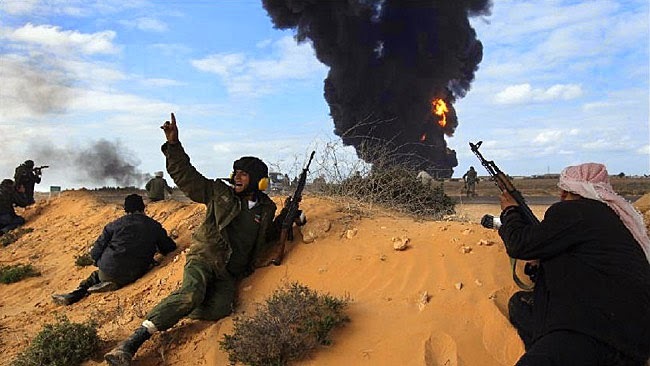 The militants have already overrun several oil fields and control the city of Sirte, near Nofaliya. Al-Shukri says that along with the 10 killed, four troops were wounded in the fighting. The force is a mix of regular and militia troops that answer to the government in Tripoli. Libya’s political crisis has left the country with two parliaments and two governments, along with rival militaries and militias. 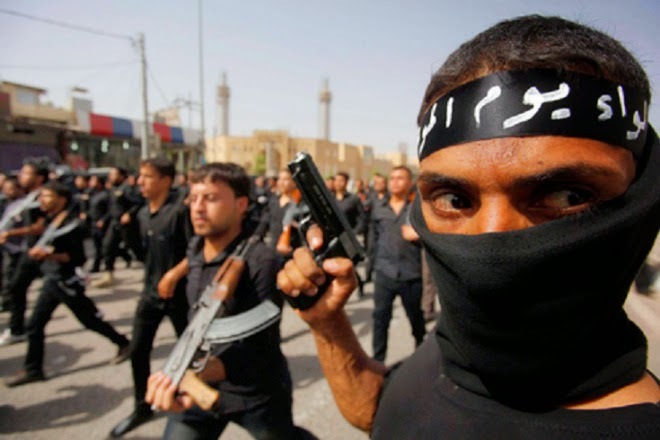 Fighters aligned with the Islamic State who control the Libyan city of Surt have begun clashing with a brigade from the neighboring city of Misurata that is trying to drive them out, according to news reports on Tuesday, and a leading Tunisian militant was killed in the battle. The reports are the first sign of a military effort against the Islamic State group in Surt since it began to establish itself there more than two months ago. Libya has been ravaged by nine months of conflict between two rival coalitions of militias, representing different regions and ideologies. That created a vacuum that the Islamic State, also known as ISIS or ISIL, has exploited. Groups of fighters in each of Libya’s three provinces have pledged their loyalty to the Islamic State, but the group in Surt is the only one to have shown communication and collaboration with the main Islamic State parent group, based in Syria and Iraq. 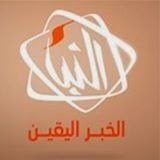 The parent group released a video last month produced by its official media arm that appeared to show its fighters in Libya beheading a group of Egyptian Christians who had been kidnapped in Surt. 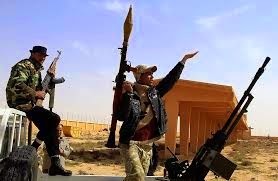 The Misuratan brigade that came to eradicate the group belongs to a coalition that includes both moderate and extremist Islamists, and its opponents have accused the coalition of tolerating or denying the Islamic State’s emergence in Libya. The coalition sent the brigade, known as Brigade 166, to Surt shortly after the appearance of the video, but for more than two weeks, the brigade remained camped on the outskirts of the city. Mohamed Omar el-Hassan, the commander of the brigade, said in an interview this month that he intended to allow the Islamic State fighters inside the city to slip away gradually before his force moved in, to avoid a major battle inside. His whereabouts on Tuesday was unknown. It is not clear whether clashes took place because the Misuratan brigade tried to enter the city, because the Islamic State fighters sought to expand their positions, or for some other reason. But Reuters reported on Monday that families had begun fleeing the city because of the fighting. Adding to the evidence of a battle, the Islamic State said in a statement posted on a militant website late Monday night that a prominent Tunisian militant, Ahmed al-Ruwaysi, had been killed during fighting in Surt, The Associated Press reported. Mr. Ruwaysi, also known as Abu Zakariya al-Tunisi, is suspected of a role in plotting the assassination of a left-leaning Tunisian politician, Chokri Belaid, in 2013. If confirmed, his killing in Surt would be new evidence of cross-border collaboration between Islamic State militants in Tunisia and Libya. The Tunisian authorities hope to confirm Mr. Ruwaysi’s death by obtaining and testing DNA samples, Tunisia’s official news agency reported on Tuesday, citing an Interior Ministry spokesman. A new battlefront in Libya emerged last weekend, when fighters loyal to the Islamic State of Iraq and the Levant (ISIL) clashed with armed groups from the city of Misrata loyal to the Islamist “Libya Dawn” alliance. After detaining four ISIL fighters in the central coastal city of Sirte, Misratan officials say ISIL erected a checkpoint east of the city on the highway to oil-rich Sidra. While on their way to dismantle it, Misratan forces were ambushed in a deadly firefight. Misratan forces from the Libya Dawn alliance arrived on Saturday to seal off the highway leading into Sirte from both the east and west, and to reinforce their military clout along its southern edge. The Misratan officials estimated that around 500 ISIL fighters are inside Sirte, the hometown of toppled Libyan leader Muammar Gaddafi and his small Gaddafa tribe. On Sunday, ambulances and fighters in pickup trucks, loaded with weapons, massed along the road next to the western front line. Armed men at checkpoints were turning back the few civilian cars trying to enter the tense and dangerous city. “A group of ex-Gaddafi loyalists are in there with Daesh,” explained Adel Ben Guzy, the military leader for Brigade 166, using the Arabic acronym for ISIL. So far, six Misratan troops have been killed, with dozens more wounded. Misratan officials estimate that up to 25 ISIL fighters were killed, with many more wounded or taken prisoner. Seventeen bodies of ISIL fighters were flown to a morgue in Misrata for investigation. However, ISIL fighters have taken control of Sirte’s Ibn Sina hospital, making it difficult to track ISIL casualties. On Monday morning, the conflict came to Misrata, 240 kilometres west of Sirte, when ISIL claimed responsibility for a deadly explosion outside the Brigade 166 headquarters killing one person. ISIL is a new phenomenon in Libya, exploiting the power vacuum following the violent overthrow of Gaddafi in 2011. Now, two different governments – one based in Tripoli, the other in Tobruk – claim the right to rule Libya, while militias and armed tribesmen continue to feud over power and the country’s resources. In January, ISIL managed to shock a nation numbed to constant violence by carrying out a high-profile attack at the luxurious Corinthian hotel in Tripoli in January, and by the videotaped beheading of 21 Egyptian Coptic Christians on a Libyan beach. Fighters pledging their allegiance to ISIL’s self-proclaimed caliph, Abu Bakr al-Baghdadi, entered Sirte more than one month ago. However, so far only the ISIL group in Derna, long a stronghold of Islamists who resisted Gaddafi at home and sent many fighters to Afghanistan and Iraq, has been recognised by al-Baghdadi. ISIL fighters have capitalised on disorder within hardline Islamist armed group Ansar al-Sharia, following the death of their Benghazi branch leader in January. Mohamed al-Zahawi had been part of Libya Dawn’s fight against General Khalifa Haftar’s “Dignity” forces and Libya’s Tobruk-based government. checkpoints. Powerful local tribes urged Brigade 166 to do this peacefully. Haftar – along with Egypt, the United Arab Emirates, and western countries – have condemned Libya Dawn’s approach of ‘containing’ ISIL rather than directly attack them. Haftar accused Libya Dawn of complicity with ISIL. According to many Misratan military and civil leaders, Sirte is considered a more manageable security threat than battling Haftar. They claimed that those fighting under the ISIL banner include former Gaddafi supporters, criminals and foreign fighters, who could be dealt with after the battle of Sidra was settled. But now, the Misratan forces are stretched thin. Libya Dawn is embroiled in battles against Haftar’s forces in Benghazi, in Sidra, and in Libya’s west and south as well. “We are against terrorists in all forms, but not to do it Haftar’s way, which is to destroy a city and make families flee, all to end a couple hundred terrorists,” Ismael Shukri, a spokesman for forces allied with Libya Dawn, told Al Jazeera last week before the clashes with ISIL. Shukri was alluding to the destruction in Benghazi resulting from the gruelling fight between Libya Dawn and Dignity forces there. “We need to finish this now,” said Ali Abusetta, a member of Misrata’s city government bound for Brussels next week to attend the next round of United Nations-brokered talks between local Libyan officials. In his opinion, the biggest threat Libya faces is from Haftar – not from ISIL. “The ISIL car bomb outside [Brigade] 166 on Monday was a message to make Misratans feel afraid. We are not sure if it will become a big problem,” said Abusetta.